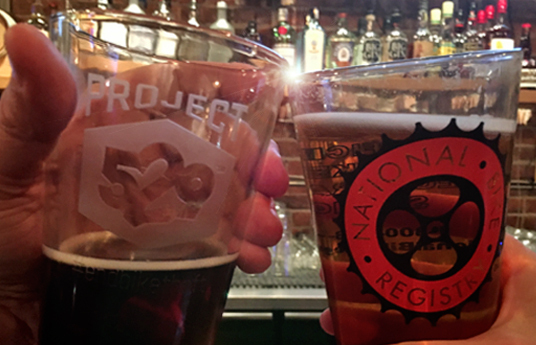 The US and Canadian 529 Garage communities welcome the NBR members to the family. 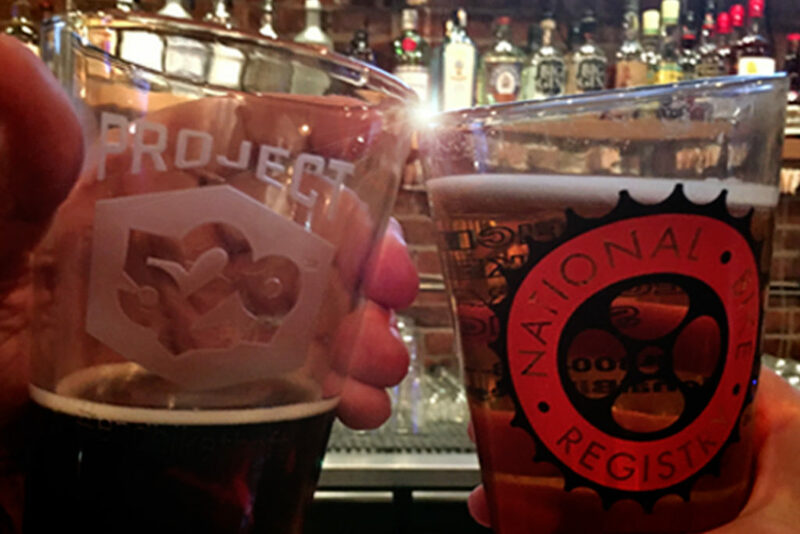 Today we’re announcing the merger of the largest and longest running online bike registry on the Internet — the National Bike Registry —with our modern bicycle registration, reporting and recovery platform, the 529 Garage. The merger of these two systems creates the largest and most advanced anti-theft bike service in North America. Combining forces to protect bikes across North AmericaThe journey started 4 years ago when my Santa Cruz was stolen in Seattle, and after much difficulty, eventually recovered. I was moved to help create better tools for law enforcement and the cycling community to attack this epidemic. Like most cyclists, I had no idea how rampant bike theft was, or the challenges law enforcement agencies faced until I experienced the problem first-hand. The problem boiled down to a lack of coordination, lack of legislation and a lack of action. Totaled, the financial impact appeared to be at least a half-billion dollars annually in North America, impacting about 2 million riders annually. I was certain that I just hadn’t been exposed to the available tools and solutions. In this unicorn-chasing era of “there’s an app for that,” certainly there were a dozen startups vigorously attacking on this half-billion dollar epidemic. “Seattle must simply be behind the adoption curve,” I told myself. I was wrong. Sorry folks, property offices simply do not disassemble recovered bikes to look for clues potentially left by their owners. What I found was dozens of well-intentioned, localized efforts to try to curb bike theft within communities. Events where drivers licenses were hand-engraved on bike frames. Paper forms transcribed by clerks into local databases only accessible to a single agency. 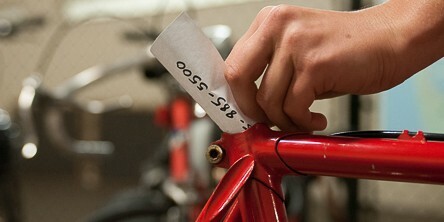 Suggestions like dropping a notecard with your name and phone number down your seat tube. All well-intentioned, however anemic compared to the approaches common by modern thieves and fences. Antiquated systems (software and processes). While there were a small handful of digital services attempting to provide some relief, none were fully utilizing modern technology or were working to address all of the contributing factors — most were simply focused on the registration aspect of the problem, and not working in concert with the industry. Worse still, the frustration and the passion from the community — cyclists, clubs and shops — had no effective outlet to contribute to a solution. To cut bicycle theft in North America by 50% by 2025. Our journey began with creating a modern, mobile registration, reporting and recovery service. We based our design around proven community policing tactics. We determined our role would be to provide the software and a strategy, but that the real power of the system would come from the community — the police, cyclists, clubs, shops and local schools and businesses. We tested our first versions with cyclists, clubs, shops and police to make sure that we had the right user experience and were collecting the right data. Then, we started pursuing scale. Knowing that universities were primary targets for theft (and also had unique needs) and essentially served as “small cities” to get ready for scale. Believing from the outset that there would never be “one bike registry,” we designed our system to be flexible and interfaced with other bike registries’ data like Bike Index, Operation Hands Off, bikeregistry.com and others. Our perspective is that our competition is bike thieves, not other registries and that we should always put bike theft victims first as our top priority. First day registering bikes in Vancouver, BC. 20,000 more riders would register in BC in the first year with the help of police, bike shops and bike clubs. In the summer of 2015, we were approached by the Vancouver Police Department to support a focused initiative to attack the bike theft epidemic in BC. Once we overcame the challenges with crossing the border, we got a real feeling for scale, quickly. In the first year, we registered over 20,000 bikes in BC with the help of law enforcement, bike shops, cycling clubs and riders in BC. More stolen bikes seized, more recovered and more returned — and public and private organizations collaborating to turn the tide. Now, after battle testing in some of the biggest universities, cities, law enforcement agencies and bike clubs, our next focus will be to surface as many bikes as possible to our law enforcement partners. Before we wrote our first line of code, it was clear that National Bike Registry was the one company that had taken this mission seriously and came closest to reaching a critical mass. Since 1984, they had been made a digital registry available to law enforcement to aid in the return of bikes. Hundreds of thousands of registered bikes and thousands of law enforcement agencies had used NBR to protect bikes. They just hadn’t invested in modernizing the software, or capitalizing on the mass adoption of Smartphones. We reached out to NBR to see how we could collaborate on the problem. The organization behind NBR was every bit as passionate about the problem as they had been when they started, but weren’t equipped to update and maintain the technology. They loved 529 Garage from a feature and design perspective and suggested that rather than investing in both and making them interoperate, the best approach would be to pass the baton and move NBR customers to the 529 Garage. So, that’s what we decided to do. We polished decades of data in preparation to move to our system. We created features to make it easy for cyclists and law enforcement users to migrate their accounts and imported 100,000’s of bikes to 529 Garage. We’ve upgraded all NBR members to lifetime membership at no charge and we’re standing by to support members and organizations with their questions and ideas. Together, we’ve created the largest and most advanced bicycle registration, reporting and recovery system in North America. It’s a big step towards our goal of cutting the bike theft epidemic in half by 2025, but we’re still just getting started. Huge thanks to Eddie, Maria, Keisha, Katy and the rest of the NBR family for their hard work and dedication to protecting riders against bike theft. We’re committed to taking good care of all those that entrusted you and continuing on the great work that you pioneered. 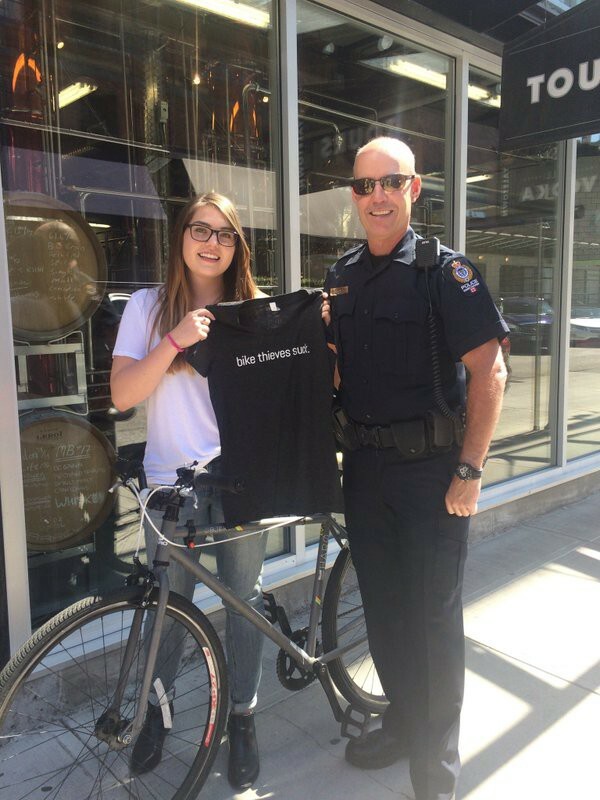 Constable Rob Brunt of the Vancouver Police Department returns a 529-registered bike to a victim last summer.